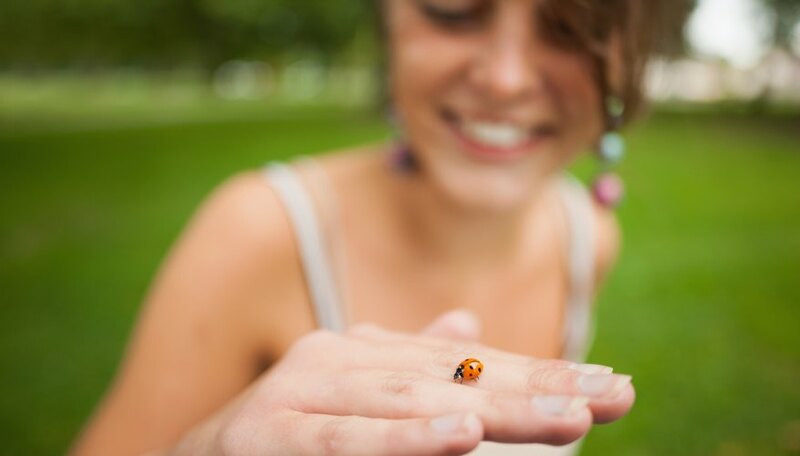 Like butterflies, ladybugs arrive on Earth through a wondrous process of transformation called metamorphosis. That's where tiny eggs hatch larvae that eventually become ladybugs, also known as lady beetles. These colorful insects may seem inconsequential, but they help eliminate pests that attack the food people eat. All told, the ladybird life cycle involves four stages. The life expectancy of ladybugs depends on a variety of factors like weather and predators. If all goes well, though, the total life span of a ladybug can be up to 1 or 2 years. Seven days after they mate, female ladybugs lay eggs on plants near insects that her larvae can eat. Larvae are the tiny creatures that emerge from the eggs. Because they have sticky surfaces, ladybug eggs that reside on leaves don't fall to the ground. Often shaped like spindles, most ladybug eggs are orange or yellow. Temperature affects their development time, but the eggs usually hatch after between five and seven days. Right before that happens, they acquire a grayish color. Ladybug eggs hatch and baby larvae emerge that look nothing like their mother. Adorned with white or orange markings, they don't have wings, but six legs give them mobility. With little spikes on their backs to protect them, larvae spend most of their lives eating nearby insects such as aphids. While adult ladybugs often leave a location after their food supply dwindles, larvae stay behind and look for more prey. 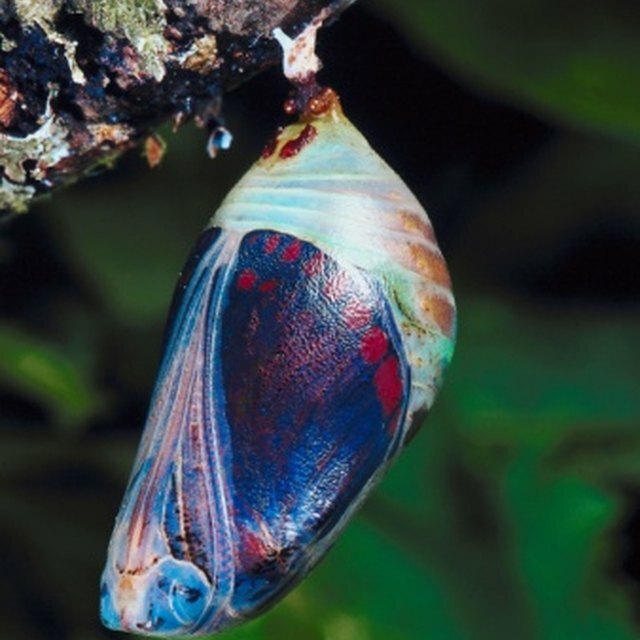 Constant food ingestion makes a larva so big that its skin falls off several times during this important stage; biologists call this process molting. About three weeks after it hatches, a larva anchors itself to a stem where its skin falls off. If you view the larva at this point, you see a pupa, the tiny structure where an adult ladybug forms. The skin splits after about seven days and a fully grown ladybug, transformed forever by the pupa experience, emerges. The ladybug doesn't begin its new life immediately because it must wait for its external exoskeleton to harden. That happens in about an hour, while its spots and body color take about 24 hours to appear. You shouldn't have trouble identifying an adult ladybug with its brightly colored body and oval shape. Spot patterns and body colors vary depending on the species. Some, for example, have stripes instead of spots. Identifiable colors and spots make these insects unappealing to attackers. Ladybugs also have the ability to release foul-tasting liquid from their limbs. Since most ladybugs eat aphids, just as larvae do, farmers and gardeners can use them to treat aphid infestations. One ladybug can consume up to 5,000 aphids during its lifetime.. A few ladybugs feast on plants instead of insects. The infinite life cycle continues as new ladybugs mate and lay eggs that produce more larvae that create new ladybugs. Lee, Kevin. "What Is the Life Span of a Ladybug?" Sciencing, https://sciencing.com/life-span-ladybug-12100736.html. 25 July 2018.